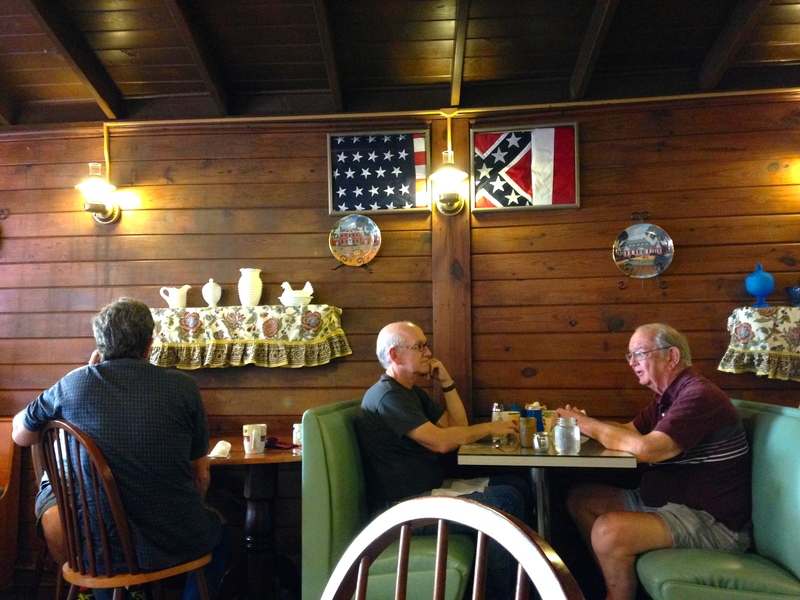 There’s something special about a good country diner. The jingle jingle of the door as you enter, the comfortable booths and half-hoop backed wooden chairs and tables, the milk glass bric-a-brac and old flags on the walls. The Colonial is one of those special places. Sitting on the far end of Central Avenue in Hot Springs, this quiet little diner is warm and inviting. Upon entering, you instantly feel at home. The waitresses will welcome you to take a seat wherever you like, and if the separate tables are full, they will help you find a place at a communal table. 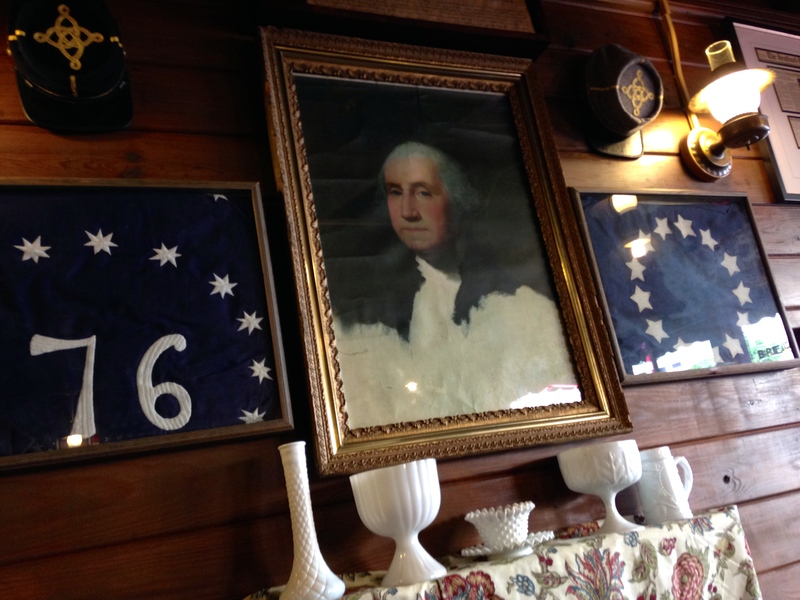 Its walls are covered with Americana—both U.S. and Arkansas flags, snippets of the Constitution and even a portrait of George Washington. It also has a nice collection of milk glass. But most importantly, it has great food. 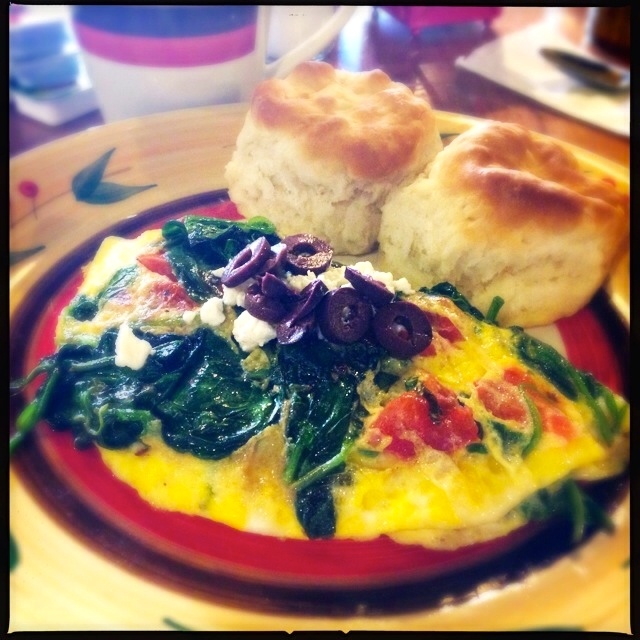 On a recent visit, I had a wonderful tomato, spinach and feta omelet with fresh olives, and a side of the most wonderful biscuits I have had in a long time. And those biscuits are what make the Colonial extra special. 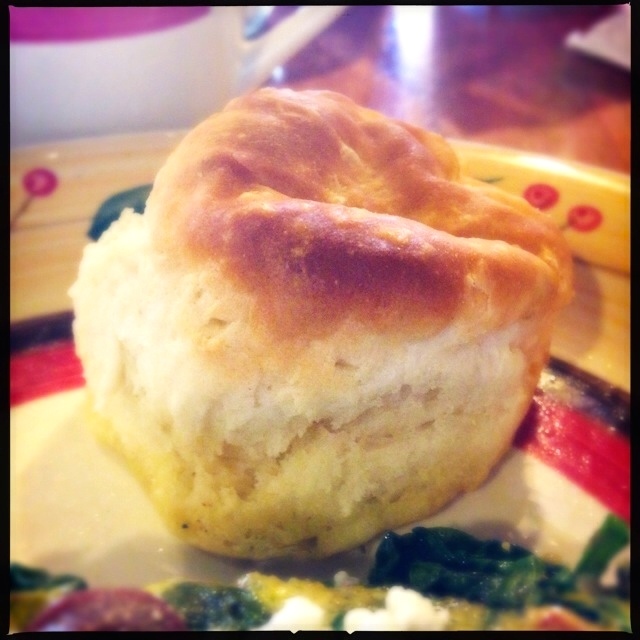 The three inch tall biscuits were soft white on the sides, with a golden brown top. Upon breaking them open (never cut! ), the pillowy soft, buttery biscuit halves puff clouds of steam, begging you to breathe deep. It crosses my mind that I should have skipped the tasty omelet and just ordered a plate of biscuits. These biscuits don’t need any toppings, and it almost seems a travesty to slather one on. Almost. My usual go-to is honey; preferably locally harvested. 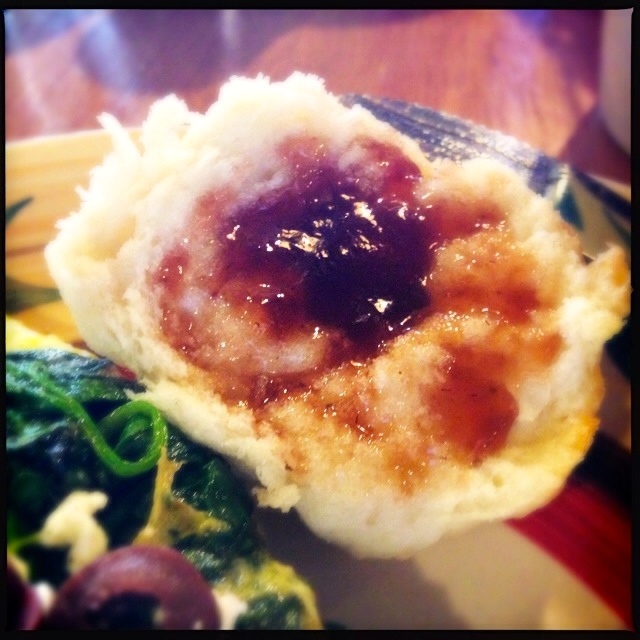 Today, I had strawberry jam. Perfect. 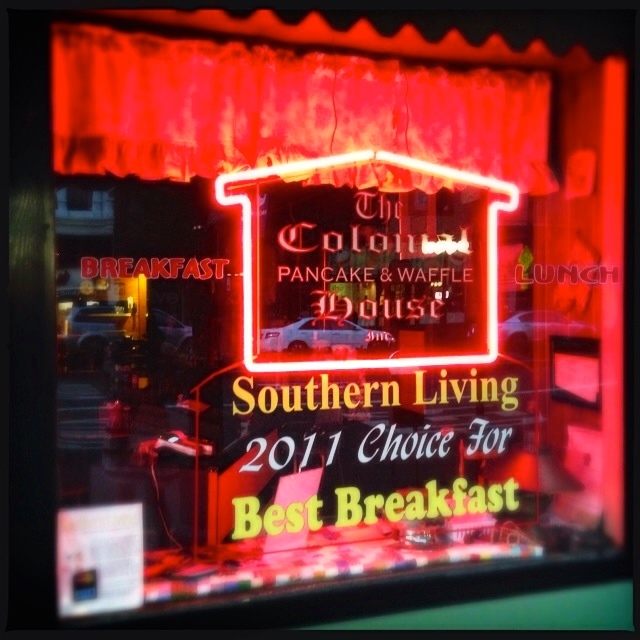 If you’re in Hot Springs, stop by the Colonial Pancake & Waffle House. Even if just for the biscuits, it is worth the stop.